Blobs Plops is a online puzzle game, with a fresh idea. With a single tap or click you stack water drops in a field of 6 by 6 tiles until the drop get's too big and blobs into a splashing burst. The bursting blob will splash in all directions and potentially fill and plop other Blobs. 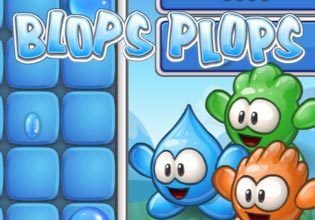 Try to chain as many Blob Plops as possible in order to receive additional drops.Start a chain reaction by playing Blobs Plop now for free and find out if you are able to go through all the levels without running out of water drops to place on the board.